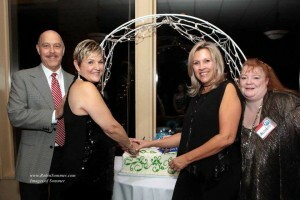 Symphony Placements Throws Holiday Party to Celebrate 10 Years! Symphony Placements held their annual holiday party on Saturday, December 5th at the Hunt Valley Golf Club in Hunt Valley, MD. This year’s festivities had special meaning as 275 employees, family, and friends gathered to celebrate Symphony Placements’ 10 year anniversary!